Available in two styles plus envelopes available. 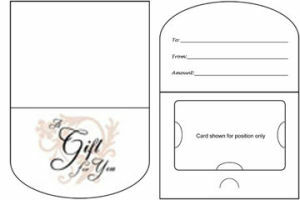 • Curved Card Carrier has a half moon front cover, is scored to fold. Has die cut slits to hold gift card.